The weather is heating up, so take your training into the pool! 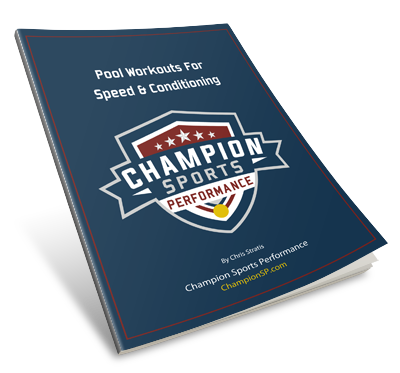 We’ve created this free resource that contains example pool workouts that can help you improve your conditioning, speed, strength, and recovery. Champion Sports Performance offers speed, strength and agility training for North Texas athletes and teams in the Dallas area near Plano, Allen, Lucas, McKinney, Murphy, Fairview & Wylie.